James D. Barger is an attorney/technologist at Aylstock, Witkin, Kreis & Overholtz, PLLC, based in Pensacola, Florida. He lives in Pensacola and is licensed to practice law in Pennsylvania and New Jersey. 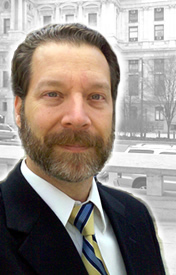 Currently, his practice focuses on BP oil spill litigation and e-discovery in mass torts litigation. James earned his law degree at the Temple University Beasley School of Law in Philadelphia, Pennsylvania. During law school, he was a staff member for the Temple Political & Civil Rights Law Review. James also worked in clinical programs at the Bucks County District Attorney, representing the Commonwealth of Pennsylvania at preliminary hearings, and at the SEPTA Tort Litigation Division, representing SEPTA in arbitration hearings at the Court of Common Pleas. James was also an editor and one of the founding staff members for Temple Law's student-run newspaper, Temple Prima Facie. Before becoming a lawyer, James was a web development professional, with experience as a Project Manager for technology start-ups, e-commerce programmer and database designer for a major logistics corporation, and teaching professional courses as a Microsoft-certified technology trainer. Before that, he was a newspaper editor and reporter. He earned his undergraduate degree in journalism at the University of Florida in Gainesville, Florida. For more information about James Barger, visit his LinkedIn page or his Facebook page or his personal home page or one of his blogs, like his old personal blog or his Pensacola blog or his personal Twitter feed or his Pensacola law Twitter feed. 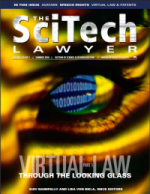 If you are interested in exploring how the law is applied to new technology environments, like virtual worlds, you can read James Barger's article on "Extending Free Speech Rights Into Virtual Worlds," as published in the Summer 2010 issue of SciTech Lawyer magazine. Speech issues pervade virtual worlds. The most talked-about virtual world, Linden Laboratories� Second Life, is all about expression. There is no game, no objective or goal, no score, and there are few rules. For most participants, the ability to express oneself is the main draw of Second Life. Users express themselves by chatting about music at live concerts, creating freakish monster-alien avatars, sharing intimate moments with virtual strangers, and by making and selling everything from shoes to skyscrapers. They do this in a 3-D world created largely by the users, where avatars walk, fly, and teleport from island to city to mountaintop. In this new world, long-established property law and state constitutions may provide the best protection for a user�s right to express himself in sometimes controversial ways. James D. Barger, "Extending Free Speech Rights Into Virtual Worlds," SciTech Lawyer, Summer 2010. Last modified April 19, 2014. All content copyright 2010-2014 James D. Barger, Esq.